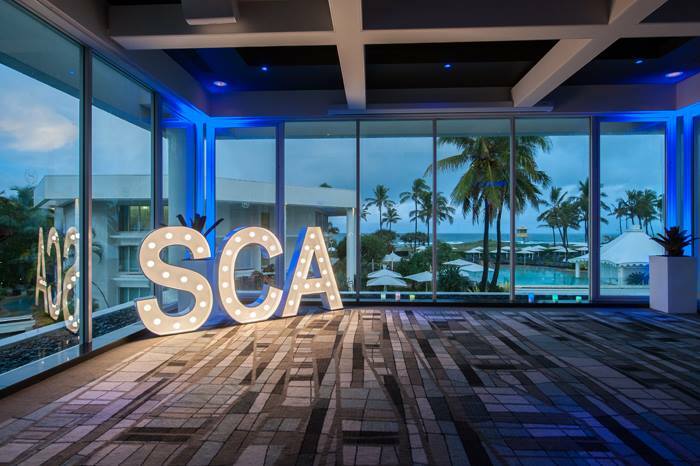 SCA (QLD)’s 2017 Brave New Strata World Conference at the Sheraton Mirage on the Gold Coast was a huge success. Festivities began at the beachy twist Welcome Function, a night that was enjoyed by all (some just a little too much). Former Brisbane Lions player, Richard Champion kept us entertained and amused as the conference MC. Keynote presenter Sensei Nadine Champion, set the tone sharing her journey to become a world champion martial artist, then to be diagnosed with cancer at the peak of her career, and her journey to overcome it. Nadine’s message was to change our (limiting) thinking. ​Daniel Borin (StrataMax) & Cathy Pashley (North Shore Body Corporate) gave us a view of the new technology in strata. Cathy took us back to the 80’s with awesome hair and get up. 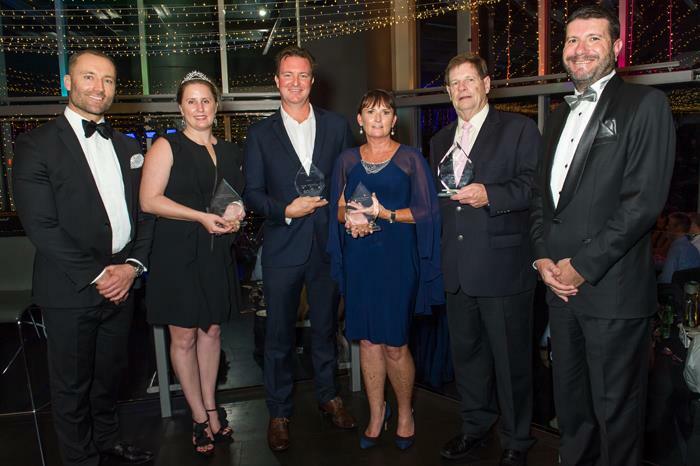 Arguably Daniel’s most notable appearance was his Michael Jackson inspired dance moves at the Sparkle on the Glitter Strip, Macquarie Awards Dinner. That's me (Scott) in the middle next to Peta and Sue. I was really proud to win the Ann Shevill Essay Award. Ann was a passionate pioneer in founding BCMIQ. She was the first Honorary Secretary and Treasurer to the Steering Committee and served as the only female President from 1986-88. The winning essay "2051 - A Strata Odyssey" is my vision of strata of the future. The Hon Attorney-General Yvette D'Ath opened the morning with a conversation about regulation of Strata Management in Queensland. She advised that while the aim was to have the revamp of QLD strata legislation complete by now, the work with QUT addressing the issues continues, and that the legislation will likely be released in parts as they are ready, contrary to previous suggestions it would happen as a whole ‘package’. This was followed by a session with Commissioner Chris Irons and Simon Barnard (Hartley’s Body Corporate and Todd Garsden (Haynes Legal) discussed by-laws, and their review processes. Conference attendees had a choice of numerous other break out sessions including: tenancy law review, a session on meditation, mixed use developments, financial management, cyber security, short term letting, strata manager skills including managing committee meetings by Grant Mifsud, Archers and career skills by Fiona Michel, HR Professional. The conference was enjoyed by all, and a big thank you to the organisers, with special thanks to Simon Barnard - SCA President, Katrin Wattson – SCA, Alayna Bullock – SCA and Conference Sponsors: BOSS, CHU, Grace Lawyers, Longitude Insurance, NBN and StrataMax. For further reading you can download my essay "2051 – A Strata Odyssey". I hope you enjoy it and I would love to hear any feedback.